With the increase of the bed bug infestations in metropolitan cities in the recent years, the amount of affected people has increased as well. As we have already discussed in a previous blog post, some people react to those bites in various ways and other people do not. However, regardless of this, they are all being bitten by the bed bugs. Here comes a very common question from our customers, whether the bed bugs bites can cause any harm to the human health. This has been a topic, widely discussed in the past years, and different tests have been carried out. Recently, there was an article from a joint research between the Universidad Peruana Cayetano Heredia in Peru, Johns Hopkins Bloomberg School of Public Health, and University of Pennsylvania School of Medicine in the USA, which found out that bed bugs can actually transmit Chagas disease (Trypanozoma cruzi). They presented their study with the evidence provided, that the bed bugs can carry and transmit the disease through their feces (1). However, as it is the excrements of the bed bugs that can transmit the disease to people, it is highly dependent on the individual cases, as not all bed bugs defecate directly after feeding, meaning that not all bed bugs will present a danger to the human health. There have been hypothesis that bed bugs can be vectors for other blood-borne pathogens, such as hepatitis B and C, HIV, MRSA, etc.., as the bugs are feeding on blood, but there has been no evidence found, that they can actually, transmit those diseases to people (2). On the contrary, more research is currently being done also in the area of using bed bugs for gene-engineering purposes. The bugs can get infected with the AIDS virus from their hosts but it would eventually die, according to a South African study, mentioned by the Gawker.com blog. All different experiments done in the area with bed bugs state that very little is found, so that it could be confirmed that bed bugs can transmit various diseases, no matter that they feed on blood from various people, especially in areas with poor hygiene and personal care habits. There is still no evidence found that they transmit any of the above-mentioned diseases (3), except for the Chagas disease. However, according all journal articles, it is of vital importance to take care of the infestations and take into consideration the limitations present, e.g. resistance to pesticides and health precautions of people not willing to have their mattresses sprayed. (3) Goddard J1, deShazo R., JAMA. 2009 Apr 1;301(13):1358-66. doi: 10.1001/jama.2009.405. 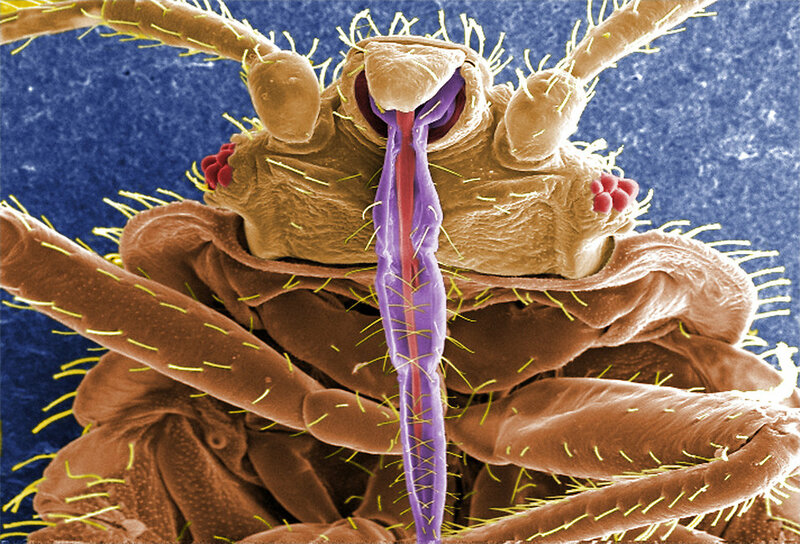 Bed bugs (Cimex lectularius) and clinical consequences of their bites.